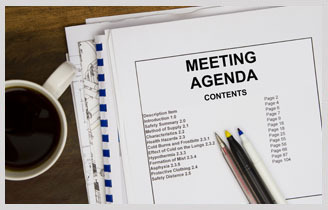 Novus AGENDA is electronic board meeting software designed to help create, approve and track meeting items. This software allows organizations to save time and money by automating their paper-intense process while facilitating communication between members. Paperless meetings become a breeze with NovusAGENDA. NovusMeeting allows you to track motions, votes and discussions during the meeting. This functionality tracks all meeting actions and produces your draft and final minutes within seconds! NovusMEETING speeds the delivery of meeting outcomes to the public and saves time and money for your staff. NovusVideo allows for live and on-demand streaming of your meetings via Internet. We offer full meeting indexing for you, saving time and money.